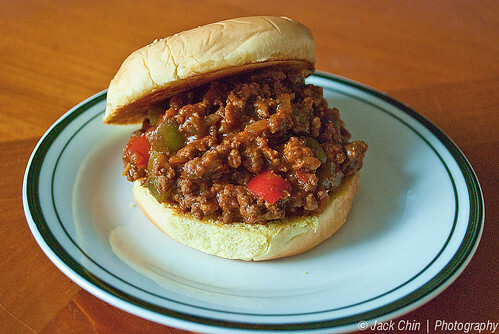 As kids, my brother and I loved it when our mom would make sloppy joes for dinner. Of course, she would make her sloppy joes using the canned sauce mix (you know the one) and she would always serve her sloppy joes with a side of potato chips and French onion dip. To our juvenile palates, this meal was delicious. But, I tell you, it’s a real miracle my brother and I did not grow up morbidly obese. In a large skillet or Dutch oven, heat oil over medium heat. 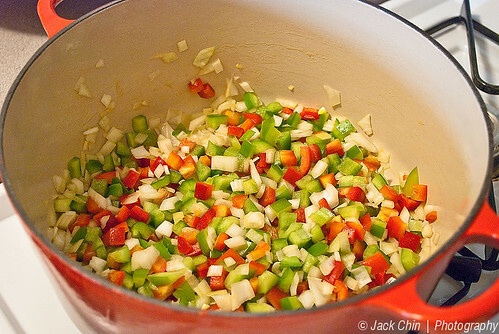 Saute onion and peppers until tender, about 4 minutes. Add garlic and saute 1 minute more. 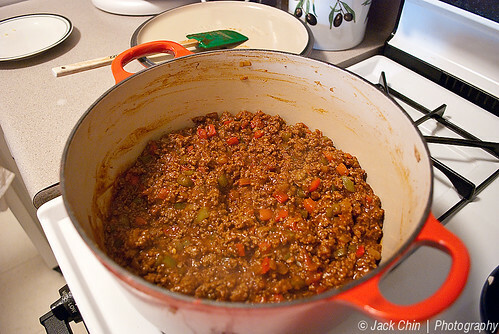 Add ground beef to vegetables and cook until beef is completely browned, breaking up any large chunks. Add tomato sauce, tomato paste, barbecue sauce, Worcestershire sauce and hot sauce. Stir until well combined and simmer until thickened, about 10 minutes. Season to taste with salt and freshly ground black pepper. Serve on toasted rolls. As an alternative to my mom’s side dish of choice, you could serve these sloppy joes with oven-baked sweet potato fries and a side salad. This meal is sure to please kids of all ages. I hope you’ll give it a try… you may never go back to the canned stuff again. The sloppy part of a good Joe is what makes it fun to eat. How easy is this for a kids meal!